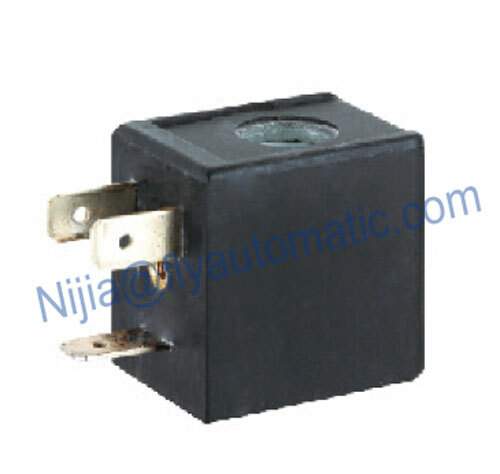 The 4V210U type by Nijia includes a wide range of solenoid operators designed for pneumatic valves . All solenoids of this system have the guide tube with a diameter of 9 mm and the plunger with a diameter of 7 mm . The system is designed for use with air .The coil is available both in 22 mm and in 30 mm size for increased performances . • Encapsulation with high quality specially designed glass filled nylon ( thermoset material on demand for 22 mm coil ). The use of other materials is possible upon special agreements. 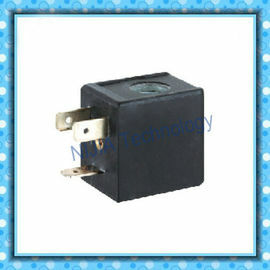 All coils are rated to class F and to IP 65 ( with connector ). 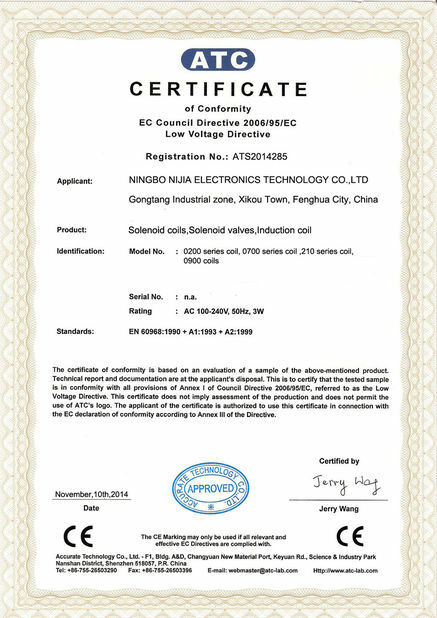 The coil is designed and constructed in accordance to EN 60204.1 and VDE 0580 and it is suitable for industrial ambient conditions. For use in special ambients with high humidity, we suggest the sealed or thermoset version. The plunger is normally equipped with NBR rubber seals. Other materials like FKM are available upon request . The armature assembly is designed for more than 50 x 106 cycles . 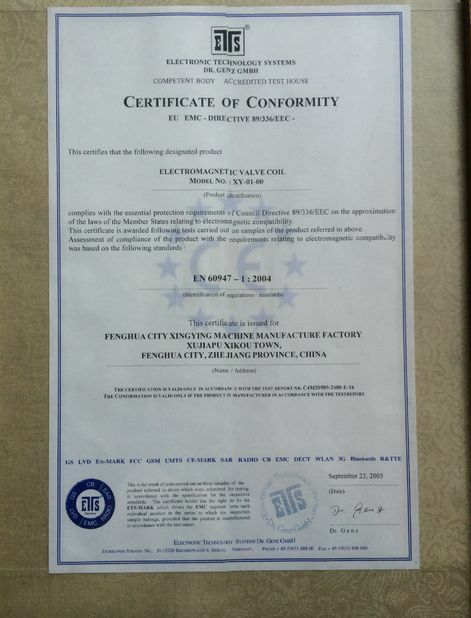 Plunger and core are made by a magnetic stainless steel specially designed for solenoid applications . The coil is fastened to the plunger guide tube by means of a knurled nut for ease of change over without interrupting the pneumatic circuit . The plungerguide tube is fixed to the valve body by means of a M12 x 0.5 thread . The suggested interface dimensions of the valve body are shown on the right side . Any change to the prescribed dimensions can effect the performances of the solenoid operator .